Choosing your wedding photographer is up there on the list of important tasks when planning your wedding as it will be the photographs that will give you life-long memories of your special day. Choosing a wedding photographer can be quite a daunting task; putting your wedding in the hands of an external party can make any bride panic. This is why it is important to meet with photographers and ask them all important questions to put your mind at ease. This question is answered more by looking at sample images or albums that the photographer provides. Is their style modern and quirky or more traditional? Can you see your wedding being photographed in that particular style? Is a pre-wedding/engagement photoshoot included in your price? Many photographers offer a pre-wedding photoshoot with them as a way to see what it will feel like being photographed and to practice specific poses that you may have seen in magazines or that the photographer has planned for you. Some photographers will charge extra for this, but it is worth doing to see if you gel well with them and their personality. The worst thing you can do is employ a photographer who you don’t feel comfortable in front of. Have you photographed our wedding venue before? 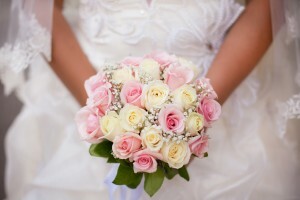 Although not essential, finding a wedding photographer that has photographed your venue before can come in quite handy. Ask to view photos from your location to see the how the lighting, composition and quality of the photos look. How long will they be taking photos for? Do you require your wedding photographer to cover from the getting ready stage through to the first dance as husband and wife? 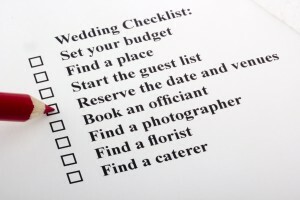 Make sure you check how long coverage of your wedding lasts and if you wish to increase it, don’t be scared to ask. Some brides prefer not to have their photos taken before they are ready and this is perfectly fine too. Will they need a meal or refreshments provided for them? 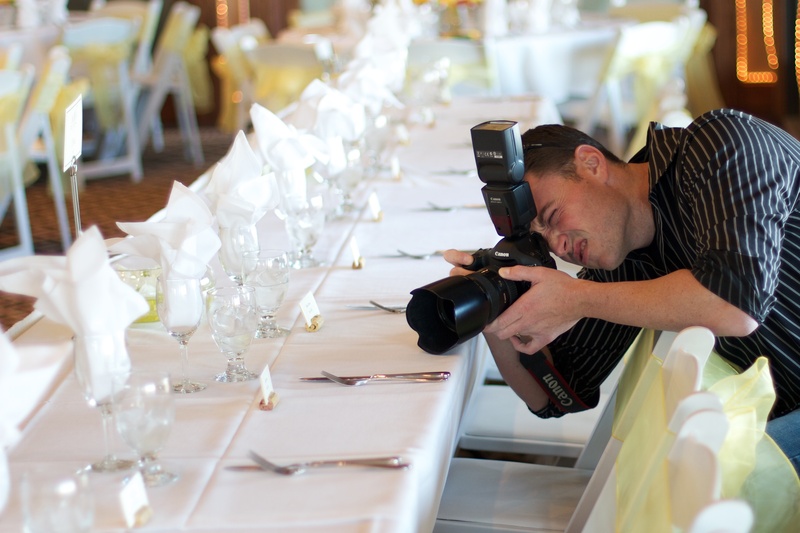 If your photographer is covering your whole wedding, they will need to be looked after. Providing a sit down meal and refreshments is a lovely gesture, and some photographers will even expect it. They won’t expect to be seated with guests, however. Is there a backup if you are ill on the wedding day? One of the major things that a bride worries about is if their wedding photographer is ill on the wedding day. 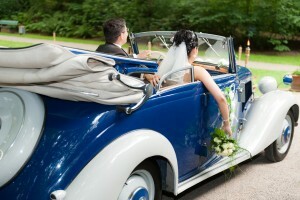 Make sure that your photographer has a backup photographer who will take over, and find out what their backup plan is. If there is an alternative photographer to cover illness, ask to meet them and view their sample photographs too as their style might be completely different to your original choice. Do you make contingency plans for bad weather? A good photographer will be able to take photos both indoors and outdoors. Ask if your photographer visits your wedding venue before hand to scope out locations inside in case it rains, or snows. If you don’t want to get your wedding dress wet or muddy in bad weather, tell your photographer and don’t be bullied into anything for them to get the “perfect shot”. Will we get a DVD with all of our high resolution images on? Providing images on DVD is becoming more popular with the surge of digital photography, however not all photographers offer it as standard. Check with your photographer to see if they provide all images within their quoted price, and if not how much will it cost in addition to what you are already paying. Do you offer wedding albums/canvas prints? Once you are married, you will want to get a wedding album of your favourite images, or a canvas for your wall. Ask your photographer if they provide these at additional cost, along with prints and ask to look at samples. Make sure the quality is up to standard and that you are happy with the final sample products. Will they own the copyright /reproduction rights to your wedding photos? Copyright is a bit of an issue when it comes to photographers. Technically, the photographer will own the copyright to your wedding photos. Many photographers insist on this so that if you want additional prints, you need to go to them to buy them. Also, if you are a private person and you don’t want your wedding photos being submitted to magazines, online blogs or used as samples, you can request this. How long after the wedding will you receive your wedding photographs? Once you get back from your honeymoon, you are likely to be excited to view your wedding photographs to relive your big day. Remember to ask how long it will be before you get to view your images. Can they offer a discount? Never be afraid to ask a wedding photographer if they can offer a discount. Many photographers will lower their rates for weekday weddings or in seasons where they are less busy. If you have a budget that you need to stick to and your photographer won’t negotiate, ask if they will photograph part of your wedding for your budgeted price instead. It may not be what you originally planned, but if you really love their style of photography, it is worth getting those few important shots, rather than hundreds of photos that have less impact. Your wedding photographer will be with you for the majority of your day, so it is of upmost importance that you feel comfortable in front of them and that your personalities don’t clash. Don’t be scared to ask anything – they will have heard it all before, and if you really want your bridal party running away from a superimposed tyrannosaurus rex, don’t be embarrassed to ask!